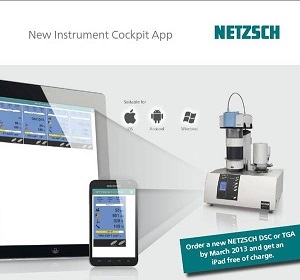 The new innovative Instrument Cockpit App from NETZSCH features many advantages. 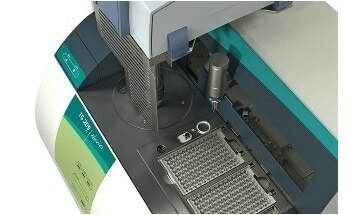 No matter if you are in a meeting but you want to see the status of your NETZSCH instruments or if you want to have an overview of the currently running measurements in your laboratory but you do not want to leave your office – no matter where you are, you are always in control of your NETZSCH Thermal Analyzers. From your desktop, iPad, iPhone or other iOS, Android or Windows-based instruments – with the Instrument Cockpit App, you always know what is going on. The App shows the progress of the current tests, continuously updated measurement data and display of your NETZSCH DSC, TGA, DMA, DIL and STA instruments. You can even stop the measurement by means of the “Remote Control App”. The Instrument Cockpit App increases the efficiency of your daily work by combining modern information technology and highly reliable thermal analysis systems.